"I highly recommend using Kim. She is professional, knows the market area very well, and listened to me, helping me secure and close on a home. She took time to make sure all steps of the closing process went as planned and has even helped me after closing when the deal was done. I was so pleased that I am using her as my agent to help sell a home that I own. I highly recommend using Kim if you want to buy OR sell a home in this area !!!" "Kim stepped into what was a new territory for her company and within a week of our listing we had a buyer. This was due in large part to the exceptional pictures and description of our home that she put into our listing. In fact, our listing was number one in our area when it came out. I would highly recommend her to anyone who is looking to sell their property! And sure she would do equally well for the buyer too!" "We would recommend Kim to anyone looking for a super hardworking, knowledgeable, understanding, wonderful realtor. She worked day and night and at the odd times we had to come look at houses for us and helped us find the PERFECT home for our family. She answered every question I had regarding the area and helped us out so much with every step of the home buying search and process. Kim is extremely knowledgeable about every aspect of real estate, the area, the process of finding and buying a home and I would absolutely recommend her to my own family if they were looking for a home in the area." "Kim was a pleasure to work with..Very prompt in answering our questions and was there for us through the whole home buying process. We would definitely highly recommend her to anyone looking to buy or sell a home." "Very professional and very prompt to get any questions answered. I'd refer her to everyone I know! She found the exact place I wanted fairly quickly and was an excellent negotiator." "I absolutely loved working with Mrs. Wallace. This was my husband and I first home purchase and thought I was not an easy customer to please Mrs. Wallace was up for the challenge. She takes her job very seriously and she really aims to please. She was so open to our suggestions and and was always willing to answer any questions we had day or night. She didn't sugar coat anything and gave it to us straight up. She has gone above and beyond the call of duty and couldn't have asked for a better professional to work with." "Easy to work with and knowledgeable. Kim didn't waste our time showing us houses that didn't meet our criteria. She knew what we wanted and worked until it was found. Also, when issues came up with process, she was quick to listen and helped us solve our issues right away. Easy to recommend her!" "We are extremely pleased with Kim Wallace! She prides herself in keeping us informed on what is happening with our listing. The office staff is very professional and helpful as well. 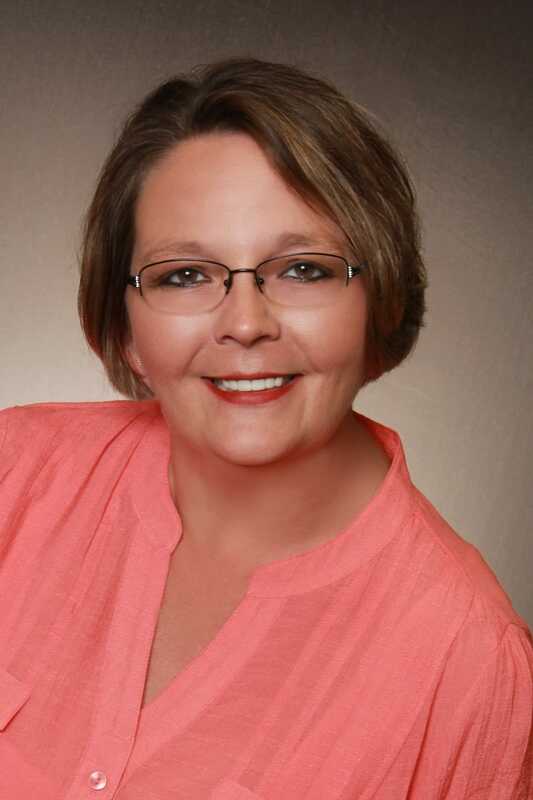 If you are looking for an Agent who is focused on providing you with a professional, knowledgeable and friendly...look no further than Kim Wallace." "Becky Hancock and my agent Kim Wallace are both a pleasure to work with. They have dramatically improved the traffic through the house I currently have listed with them! Kim is very easy to talk to and always available." "Kim Wallace was very helpful in the finding of our new home, she drove us around to the different houses, she was very knowledgeable on every question I had, she devoted a lot of time to helping us get the house that fit us most." "Kind, knowledgeable, helpful, honest, thoughtful and responsive. I would use her again to buy or list a home. She gracefully and ethically handled the negotiations and communicated openly throughout the process. We enjoyed working with her! Thank you, Kim!" "Kim Wallace was the associate with Becky Hancock. She did and absolute great job of listening to me and my concerns and finding references and loans that applied to me. She is by far the best realtor I have ever known. I think she was kind and thoughtful and patient and very professional. She met me many times at the desired time and was never late, she even drove me to the closing since I don't drive. That is real service. She is the best you could have." "Kim is very knowledgeable and thorough. She made a buying experience pleasant. We were introduced to a lender the day we made the offer on our home. The process went through very effortlessly and efficient. Couldn’t have asked for a better realtor or lender. We highly recommend Kim to anyone looking to buy a home." "In my over 25 years of buying and selling real estate, Kim Wallace is by far the best agent that I ever had. Being a retired Army MSG, I would recommend all active duty and retired military to seek Kim as your professional agent." "Kim did a great job selling my house. It was no easy task and she didn't give up until the deal was done. She kept me informed of the process and any changes"
"Kim Wallace was an excellent realtor who helped me find a great home to live in. Her knowledge of the area and timeliness of response to emails made this a good experience. Kim works for the buyer to get them everything they ask for in the sell." "Kim Wallace is excellent at her job! She's caring, patient and very thorough. I would recommend her to anyone looking to buy a home. Thanks for your diligence and hard work in helping my family buy our home." "Kim helped me pick a home. She drove my family and I to 17 homes over three days, and was always available for questions. Kim is super awesome. Would give six stars if I could." "Kim Wallace is AWESOME!!!!! My husband was PCS'ing to Rucker from Hunter in Savannah. So, we began looking in Enterprise in January 2016. Kim made contact with us right away. We immediately told her we had some financial challenges. But that didn't scare her away. We tried to make several appointments to come down to look. She remained patient and continued to reschedule. We sent her list after list after list of houses we wanted to check out. She very patiently pulled up and sent the info on every single one. We finally came to Enterprise in May 2016 to actually look at available properties. As we processed the list, we found that each house was being sold out form under us. She persevered. We went back home and made an offer on a house. It seemed it was going to work out, but she contacted us to tell us that the deal fell through. All the other homes we saw were being sold. We took a deep breath and regrouped. Kim continued to look for properties and advocate for us. FINALLY, we made an offer on a house we'd only seen online. Kim worked quickly and diligently to get the offer worked out. We LOVE our new home. Its perfect for us! Kim Wallace was perfect for us! Through her patience, we were able to get a home we never dreamed of. Not once did she seem frustrated. She was always upbeat and encouraging. She kept us calm and reassured. She worked in concert with Felecia Solomon (also AWESOME) from Veterans United on our loan. She spent a lot of time over the period of 5 months on us. When closing arrived, I was hoping that her commission was worth the work she put in. She was with us EVERY step of the way. I felt she gave us a lot of "special" attention. In the end, we could not have bought our home without her. We learned so much about each other and I now consider her to be a friend. She's "good people". We are making some changes and plan to invite her over when we've got it all done. We really do love Kim and we owe her for our new life in Enterprise, AL"
"Kim worked with us all the way with the purchase of our property. She came out early on a Sunday morning and meet us to sign paper work before we were to come back home. Anytime we had a problem she was always available to give us advice or keep us updated on how things were going with loan and other legal questions. I would recommend her to anyone looking to buy or sell property."